NEW YORK: Unilever has awarded GolinHarris its Lipton account, which was previously handled by Zeno Group, after a review. The consumer packaged goods giant confirmed the agency shift but declined to give further information about the account, including its budget. Representatives from Golin deferred comment to the client. Zeno won the Lipton business in the summer of 2011, following an RFP. The account was previously handled by Ogilvy Public Relations. Lipton was the first Unilever brand managed by Zeno, which is a part of the DJE Holdings umbrella group. Representatives from Zeno declined to comment. At the beginning of the year, Lipton launched a campaign called Drink Positive, aimed at encouraging people to drink tea more often as part of a happy and healthy lifestyle. The effort included a national advertising campaign and highlighted the brand's classic black tea. Zeno ran the campaign's Instagram-related efforts in North America, as well as blogger and media outreach, and Ogilvy managed the initiative in Europe. 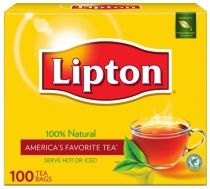 As of last month, Lipton is also serving as the official iced-tea brand of Major League Baseball. Unilever reported 5% sales growth, year-over-year, in the second quarter of 2013, just shy of analyst expectations of 5.5%. The company attributed some of its sales growth to its Lipton Yellow Label Tea, particularly in the Middle East and Turkey. The company also owns and operates the Ben & Jerry's ice cream brand and Dove skincare products, among many others. Earlier this summer, GolinHarris appointed Andrea Morgan, former MD at Emanate, to serve as executive director and head of the agency's consumer marketing practice in New York.